Need insulation? We’ve got you covered. Fiberglass insulation and stone wool insulation available any time. Need drywall to cover it up? We’ve got that too. 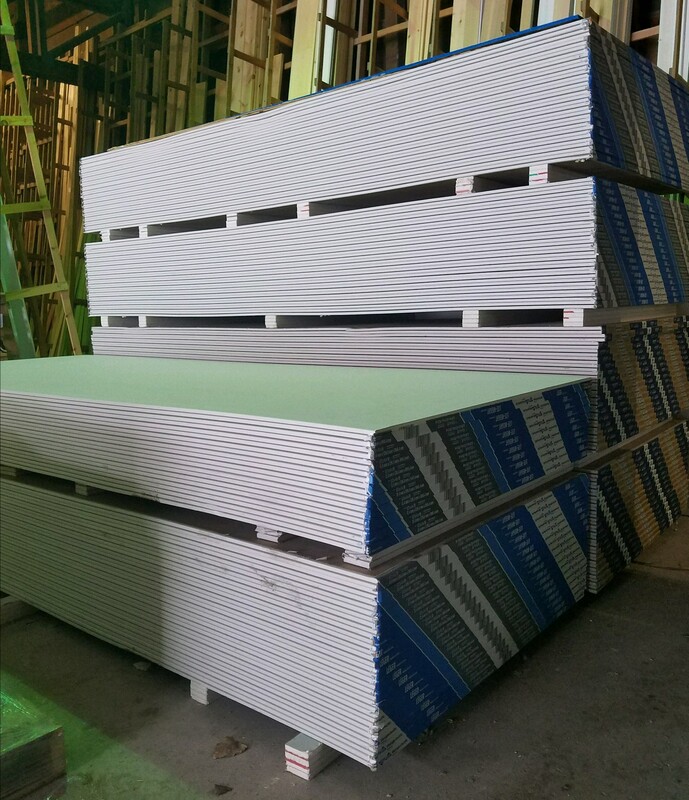 Regular 1/2″ lightweight drywall stocked up to 16′ long. We also carry 1/2″ moisture resistant drywall, 5/8″ fire-rated drywall, and regular 3/8″ drywall. Tile backer also available. Most drywall accessories you’ll need including compound, corner bead, tape, screws, and sponges can be found here.